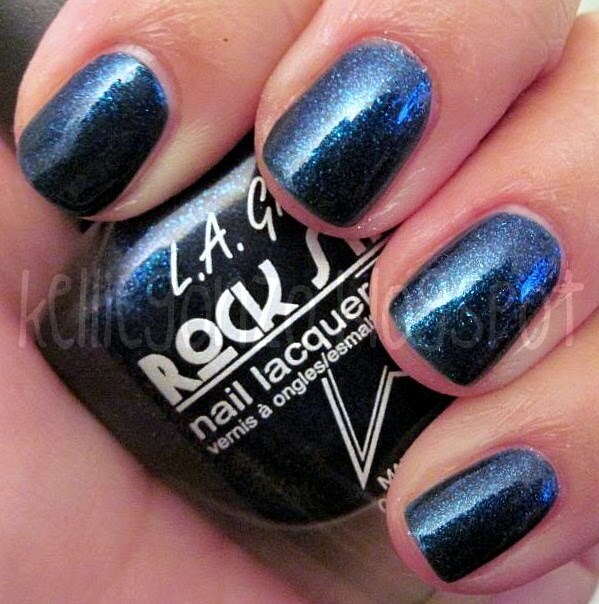 this polish rocks. and it is literally called so. 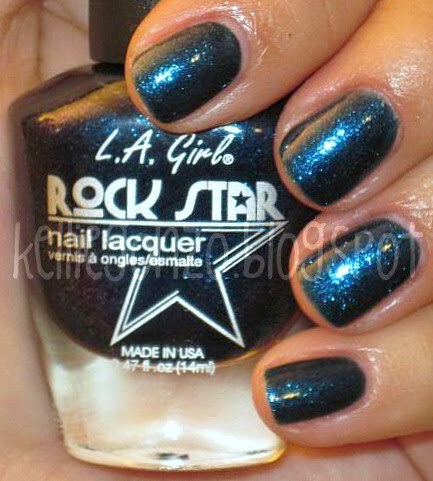 rockstar! the l.a. girl company puts out little collections in these funky shaped bottles with the collection name on them which i think is way cool. 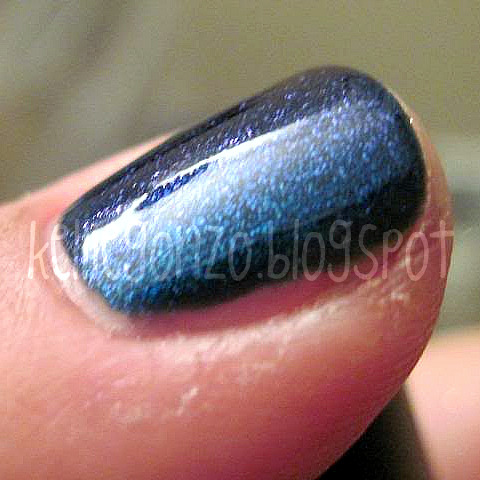 this one called punk is a midnight blue with glass fleck shimmer that also happens to be a duochrome that shows purple on it's angles. yay! love love this guy!